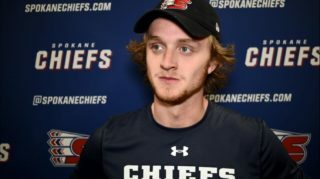 Life as a goalie in the Western Hockey League is like walking a tightrope, and no one knows that better than 20-year-old Spokane Chief netminder Jayden Sittler. Sittler, acquired by Spokane in a May trade with the Lethbridge Hurricanes, also played briefly for Kootenay and Victoria during his WHL career before joining the Chiefs. So after two previous trades, this one wasn’t a surprise. “I knew at the end of last season that I was likely to be traded,” he said. “I wasn’t sure where I was going, but when I found out that it was Spokane, I was very excited. After being the new guy twice before, he wasn’t intimidated when he joined the Chiefs, and credits his teammates with making the transition easier. The biggest challenge, he says, was taking on a leadership role on a team loaded with younger players. In Lethbridge last year, Sittler played 39 games, with 19 wins, a 2.94 goals-against average, and a .905 save percentage. This year, he has put up a 3.41 GAA and .879 SV% in 27 showings, including a recent five-game stretch in which he posted a .918 SV%, stopping 124 of 135 shots faced. 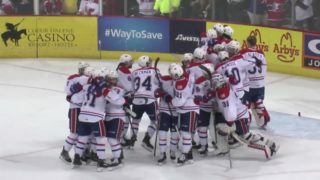 Overall, he has 39 career WHL wins. This season didn’t begin the way Sittler had hoped, but he acknowledges his struggles, and talks about what he does to get better. “At the beginning of the year,” he said, “I was trying to do too much in net, and not focusing on the things that make me good. But the thing about being a goalie is that you can’t put too much pressure on yourself. When things aren’t going well, you just go back to the basics. It’s important to stay on an even keel, not get too low or too high. 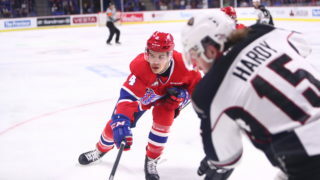 He’s competing for time with another Red Deer native, 17-year-old Dawson Weatherill, but says he’s used to that after splitting time last season. 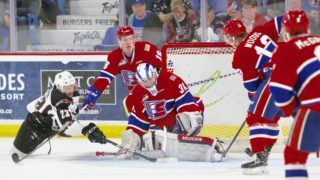 Sittler hopes that competition and the continued growth of the young Chiefs will lead to a playoff berth, where he can extend his brief experience with Lethbridge last year, when he posted a 1.76 GAA and .940 SV% in two appearances. 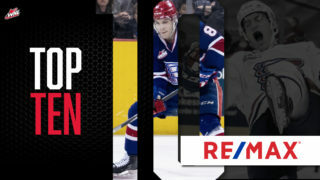 Spokane Chiefs Education Advisor Joe Everson works with all Chiefs players, from those still in high school to those pursuing a post-secondary education or preparing to do so following their WHL career. 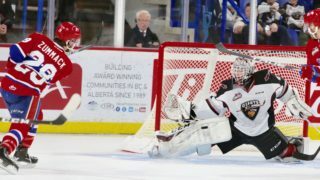 He helped lead the Chiefs to the WHL’s Scholastic Team of the Year Award for the 2015-16 season. Throughout this season, Everson will profile individual Chiefs to provide insight into their lives, their mindset and their goals for the future.